Yet another important aspect of the Navratri festival is the “Kolu”. 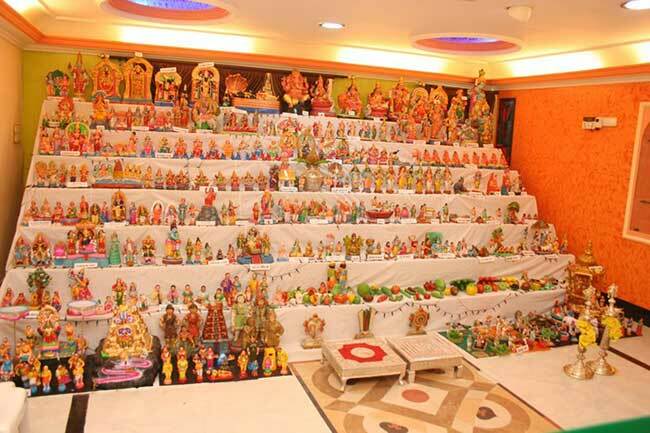 Kolu means the spectacular arrangement of the dolls in houses. on the day of Amavasya being an auspicious day, one doll is kept at Pooja. At least a week before the festival, the dolls kept in safe wooden boxes are taken out and cleaned. The creativity and innovative ideas of oneself decides the presentation of dolls in the Kolu. I was amused to know the fact that there is a strict ordering to be followed while arranging the dolls for Kolu. Normally in conventional methods, Kolu is arranged in NINE steps. There are ready made steps available in the shops or people use the tables, wooden benches and other furnitures creatively decorated with electric lights and gorgeous clothes. The top most step of the Kolu is reserved for the Gods and Goddesses. And every type of creature is placed in the stairs down the line and finally the bottom most step has the place for the smaller animals and objects. The philosophy behind this arrangement is that if we lead a life of ethically and morally valued principles, we will be relieved from the cycle of deaths and births and will reach the abode of the Lord on the Day of our judgement. Theme based Kolu is becoming widely popular nowadays. Dolls on a specific theme are arranged and in addition, cricket ground, marriage halls, the ten incarnations of Lord Vishnu are some of the most popular dolls found in almost every house. Kolu had been initiated during ancient times to support the potters economically during their tough times. 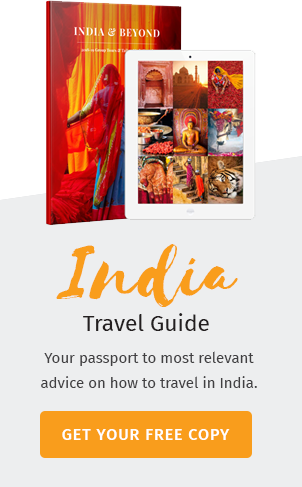 Wherever you travel across the country during these nine days, you getto see colorful decorations and girls and women dressed up gorgeously doing the poojas and rituals. The temples also have a separate area where the Kolu decorations are set up and large number of public visit to have a sight of the dolls. It is also a custom that every year, at least one new doll is to be added to the existing collections. Special dance performances, music concerts are arranged in temples, musical convention centers and places where you can accommodate large gatherings. The grace and benevolence of the Goddess Durga are praised in these concerts and it is more or less the time for undivided attention devoted to God. The small girls or young women go along the streets and invite their neighbors to come and see the Kolu decorations in their house. Normally it is a holiday season for Dussehra, and the girl children are dressed up in different themes on all the nine days. People from the neighboring streets visit their houses to enjoy and worship the Kolu. Different kinds of return gifts are given to the visitors along with the Prasad, the food items offered to the Goddess !! The ninth day of the festival is called as Saraswathi Pooja and it is celebrated in a pomp manner across South India. Temples with Goddess Saraswathi as the presiding deity, especially in Tamil Nadu and Telangana have been witnessing large number of pilgrims on the day of Saraswathi Pooja. As Goddess Saraswathi helps us to emerge as a holistic personality with abundant skills, all the items related to studies , music and other art forms are kept at Pooja. Even the tools and equipments used in other industries and factories are also kept at Pooja and the ritual is called as “Ayudha Pooja”. The items placed in Pooja are taken out the next morning with a prayer to be blessed for getting flourished further. The closing ceremony of the nine days festival is Vijayadasami which symbolizes the victory ! Vijaya means Victory and Dasami means Ten. The sequence symbolizes that of the nine days of the festival are carried out with the proper rituals and poojas, one will flourish forever and reap victories with the limitless grace and blessings of the Goddess Durga. Across North India, Navratri is celebrated in a pomp manner called as Durga Pooja. Goddess Durga is also called as Kali and she is seen as a furious form of the Goddess Durga. The entire festival epitomizes the victory of good over the evil. A statue of the demon Mahishasura made of rice flour and other ingredients is immolated to symbolize the event of the past. Lakhs of people gather to witness this ritual and the festival ends with exchange of gifts, food items as Prasad. Mysore and Karnataka and Kulasekarapattinam in Tamil Nadu, deserve a special mention here when we elaborately speak about Navratri. Mysore Dussehra is a world renowned festival and the Mysore palace is the epicenter for this festival. The 10 days long Dussehra festival has been celebrated from 16th century onwards and Dussehra is one of the iconic representations of Karnataka. Mysore Palace, the year round destination for tourists is bedecked with lightings in a gorgeous manner. 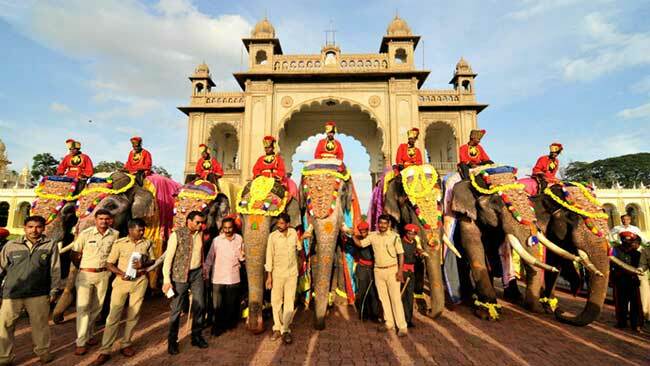 Caparisoned elephants are taken on a procession with the idol of the Goddess Chamundeeswari on a golden howdah. This procession is popularly called as “Jamboo Savari”. This takes place on the tenth day during Navratri. The religious significance behind this festival is that Goddess Chamundeeswari killed the Demon king Mahishasuran on this day and as a thanks giving function, the Vijaya Dasami day is celebrated to convey to the world that “the Good will always be Triumphant over the Evil”. 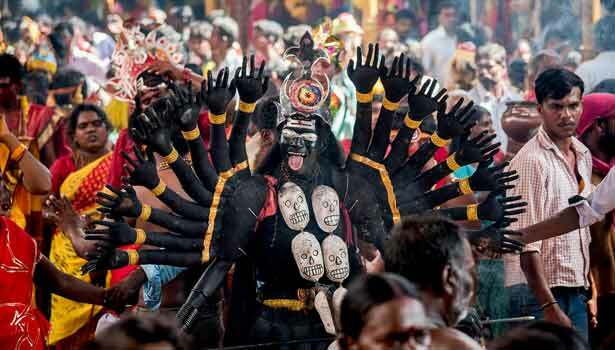 The highlights of the Dussehra festival in Mysore are the food carnivals, candle light parade and the Jamboo Savari. If you are anywhere nearby Mysore, don’t afford to miss the visit the proceedings of the grand carnival. The place where Dussehra is celebrated in a grand manner next to Mysore is the coastal village in Tamil Nadu called Kulasekarapattinam. The otherwise deserted small village near Tiruchendur in South Tamil Nadu, witnesses at least 1.5 million people every year during the Navratri festival. The religious significance to celebrate Navratri revolves around the Goddess Mutharamman, who is believed to be the incarnation of Goddess Mahishasuramardhini who killed the demon King Mahishasuran. The poojas and rituals are done in a very grand manner for all the nine days and on the tenth day, the devotees dress up themselves as different forms of Gods and Goddesses after following the tough rituals of fasting and praying for 41 days. They become eligible with the clean body, mind soul to be a part of this celebration and bless the devotees approaching them. you can see the entire coastal region becomes vibrant with people singing and dancing with fire pots on their hands and lot of festivities going around. As Indians are diaspora, Kolu is also seen to be celebrated in most of the countries where there is a vast number of Indian population. As per the procedures suggested in the canons of Hinduism, most of the people fast during the nine days of Navratri and celebrate on the tenth day offering feast to the friends and families. In India as well as in other countries, celebrating Navratri is yet another opportunity for the reunion of friends and families which will keep the emotional bonding lasting forever. Though Navratri is celebrated in different forms across the states of India, the bottom line signifies the eternal truth about the Victory of Good over the Evil. If you are in India during Navratri, you can be a part of the Navratri Celebrations which are truly colorful and memorably unique !